Netflix can often seem like something out of a science-fiction movie -- seriously, can you imagine telling yourself 15 years ago that you'd be able to stream your favorite movies on your phone while you're on a cross-country flight? 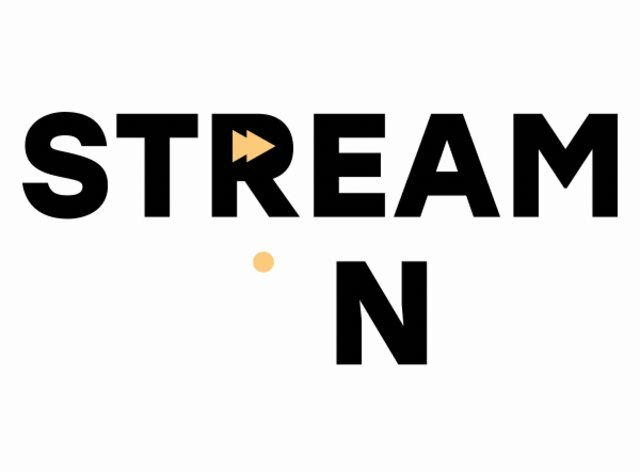 So, it's only fitting that genre junkies now use the streaming service to catch up on forgotten gems, beloved classics, and adventurous new curiosities. 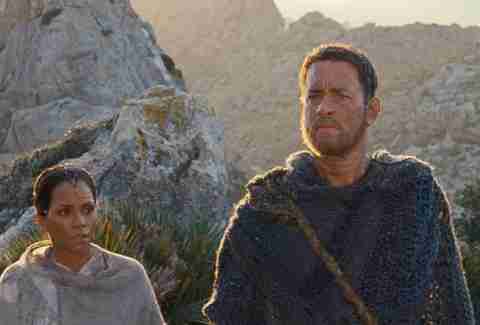 Watch these movies and boldly go where no Netflix user has gone before. Stanley Kubrick's relentless adaptation of the Anthony Burgess novel depicts a brutal world of violence and nihilism that continues to shock audiences nearly a half century after its release. 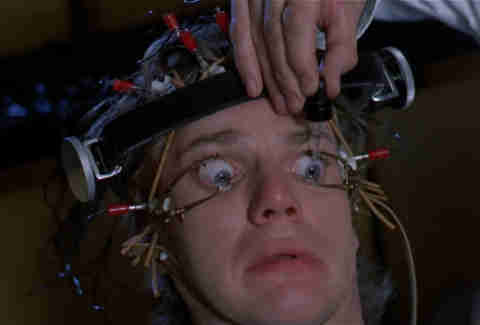 Following an ultra-violent gang led by narrator Alex (Malcolm McDowell), the film sets scenes of barbarism against classical music, one of Alex's passions, and Kubrick's mastery of style makes it a compelling commentary not just on violence, but on the methods humans devise to curb it. Critics raised issues over whether the film glorifies the violence it so readily depicts -- especially after a series of crimes were dubbed "copycat" acts based on the movie -- but those who see glorification in this adaptation might want to look a little harder. 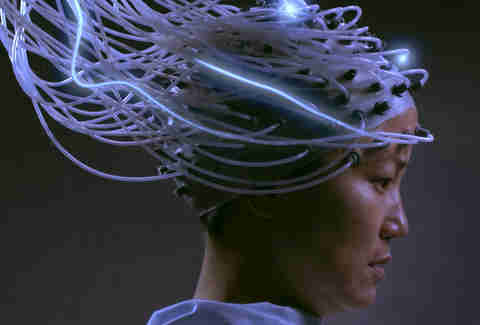 This isn't the kind of movie that will blow you away with its special effects, but the near-futuristic story of motherly dedication, objectification of women, and what the future of consciousness looks like will hook you with its heart. 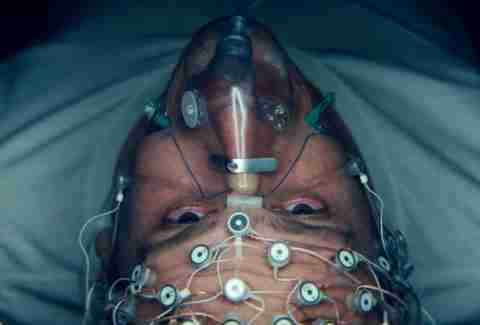 You'll recognize the pervasive contemporary sci-fi trope of consciousness uploading (hello, Black Mirror), but the depth of story prevents Advantageous from becoming another trite retread. 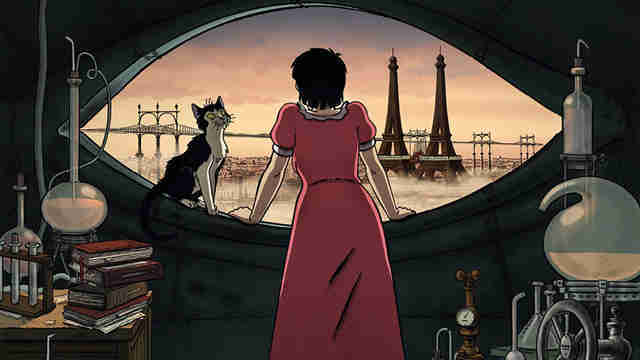 This French animated film might be the one good thing to ever come from steampunk. Set in a 1930s where the world's greatest scientists have disappeared, leaving society to smolder in a coal-burning dystopia, April (Marion Cotillard) is on the run from the state police, who believe she holds the secrets to her late parents' anti-aging serum (which has also gifted her pet cat the ability to speak). With the imagination of Studio Ghibli and the action-pacing of a Guillermo del Toro movie, April and the Extraordinary World is a sci-fi thriller that manages to be whimsical through gunfire and clouds of black smoke. Netflix pulled off the impossible with Blame! -- exclamation point not optional -- the cult-loved sci-fi/cyberpunk manga series by Tsutomu Nihei from 2000. Long chalked up to being unadaptable for the screen because of its hyper-detailed art, general oppressive sense of desolation, and scarce dialogue as the story of the super-powerful gunslinger Killy who doesn't need nobody, man, roving aimlessly through a dystopian underground futureworld full of fast killer robots, the creators of the made-for-Netflix anime series Knights of Sidonia hacked it with a rich, but not disorienting, 3D animation technique. By honing in on a defined arc that actually has people in it, Blame! 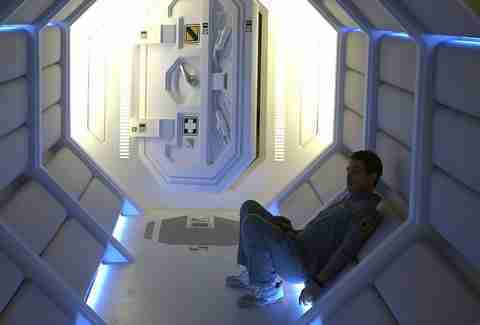 the movie stakes humanity's very existence on a profoundly bleak narrative. 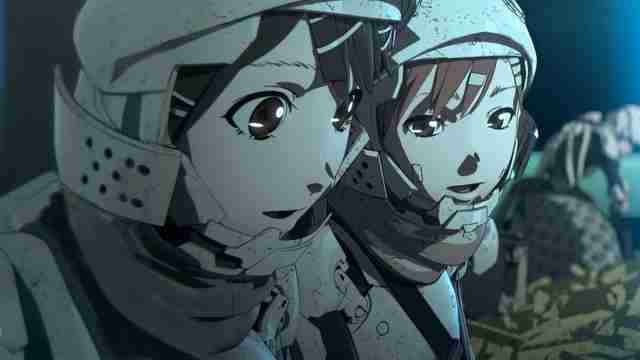 If you enjoyed Ghost in the Shell and Akira, dig deeper into Blame! The Matrix directors Lily and Lana Wachowski were likely the only filmmakers with the ambition and daredevil instincts to take on David Mitchell's pyramidal, generation-jumping novel. Tracking a set of familiar faces through the distant past, pulpy present, and hyper-future, Cloud Atlas is a as epic as they come, a movie about love, life, loss, and all the little moments in-between. In The Discovery, the afterlife exists. When a scientist played by Robert Redford breaks through to the other side to confirm its existence, a suicide epidemic ensues, with millions killing themselves in hopes of seeing the light. At the center of the story is the scientist’s son, Will (Jason Segel), and a woman he meets en route to his father’s lab/isolated mansion where many who attempted suicide are sent to work. Looking at Heaven as another plane of existence, and the repercussions of knowing what happens following life on Earth, The Discovery may be bleak, but the romantic plot (and mind-boggling ending) about the human connections we form during this life make for an intriguing concept that occasionally falters, but ultimately proves worth a watch. 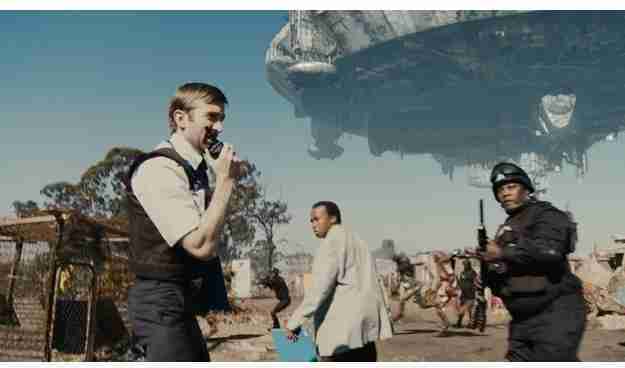 Based on South Africa's policy of apartheid, District 9 imagines a future in which aliens are discovered on Earth and the South African government responds by placing them in an internment camp. But after years of confinement and neglect, the foreign population rises up to reclaim their autonomy to attempt to return to their home planet. It’s a dystopian extraterrestrial film that’s more about xenophobia than it is about a war between worlds. Hailing from sci-fi filmmaker Neill Blomkamp and producer Peter Jackson, it's also a low-budget film that surprisingly ended up garnering four Oscar nominations, including Best Picture. Romance and love are nothing without the potential for loss and pain, but most of us would probably still consider cutting away all the worst memories of the latter. 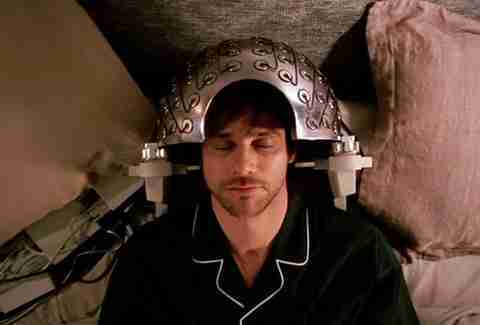 Given the option to eradicate memories of their busted relationship, Jim Carrey's Joel and Kate Winslet's Clementine go through with the procedure, only to find themselves unable to totally let go. Science fiction naturally lends itself to clockwork mechanisms, but director Michel Gondry and screenwriter Charlie Kaufman never lose the human touch as they toy with the kaleidoscope of their characters' hearts and minds. Writer-director Alex Garland (28 Days Later, Never Let Me Go) made the movie we’ll remember when Google and Tesla’s self-driving cars rise against their masters. 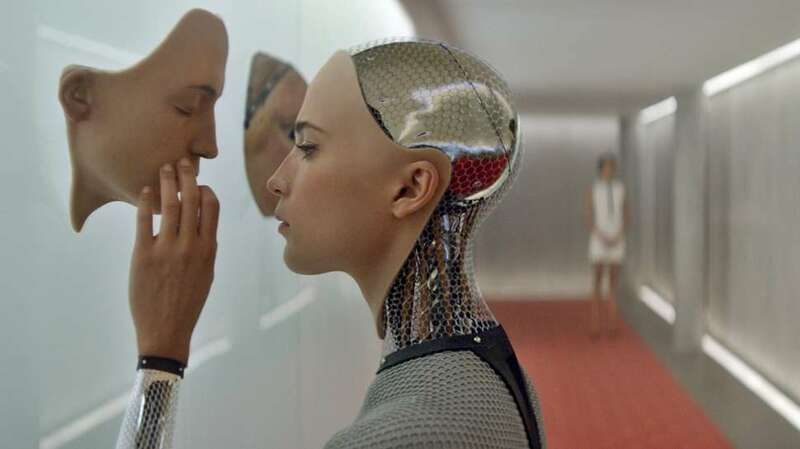 Immaculately designed and researched, Ex Machina builds a trifecta out of the ultimate Silicon Valley bro (Oscar Isaac); Ava, the ideal robo-woman he believes is under his control (Alicia Vikander); and the audience's proxy, a regular Joe computer junkie enamored by Ava's potential (Domhnall Gleeson). Over a weekend, they talk through philosophy, drink themselves stupid, and discover the ramifications of reckless innovations. Elegant, rambunctious, and terrifyingly prescient. Spike Jonze's Oscar-winning script throws a lonely greeting-card writer and a fancy Siri-like operating system into a questionable romance. The result, anchored by Joaquin Phoenix and Scarlett Johansson (yes, the latter kills it as the OS), is at once poignant and thought-provoking, especially for a generation that leans more and more on personalized handheld devices. To examine modern love, this baroque sci-fi rom-com basically splits into two movies: The first is an evisceration of Bachelor-esque monogamy logic, where Colin Farrell's David must find love in 45 days or be turned into an animal (of his choice -- the overlords aren't monsters). The second boots our hero to savage woods, where escaped singles plot terrorist attacks against their romance-obsessed society. 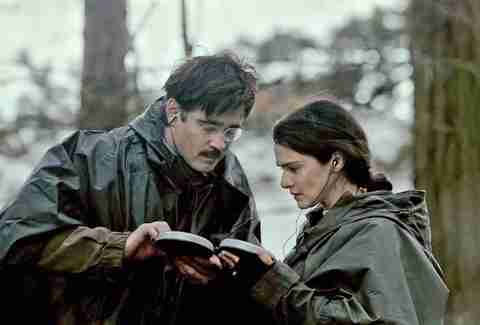 Shaded with cool hues and orchestrated like a minor symphony, Farrell and Rachel Weisz balance the off-kilter dystopia with vibrant, sexual heat. Outrunning tranquilizer darts never looked so good. Like Eternal Sunshine of the Spotless Mind, The Lobster is original, heartfelt, and would make an awful date movie. Luckily, that's not a factor for greatness. The attention-getting debut from Warcraft director Duncan Jones is basically a one-man show for star Sam Rockwell, who plays the lone operator of a moon-based mining outpost. Nearing the end of his three-year shift, the guy starts to have problems. Not just the loneliness and stunning boredom you'd expect from solo life on the moon; more like big fractures in his life, which reveal far more troubling facts about his existence. The brilliant Rockwell is aided by the voice of Kevin Spacey as the outpost's AI helper, and by a minimal but effective score from Clint Mansell. Facing death alone on a cold rock in space shouldn't be this appealing. If you can stomach Jared Leto, you may enjoy this story about the last mortal human, the titular Mr. Nobody. As he approaches death, he becomes a spectacle for the immortals around him, who want to know the details of his life. What follows is a touching life story told through multiple potential realities and a mind-bending ending that will keep you up at night trying to figure out what the hell just happened. 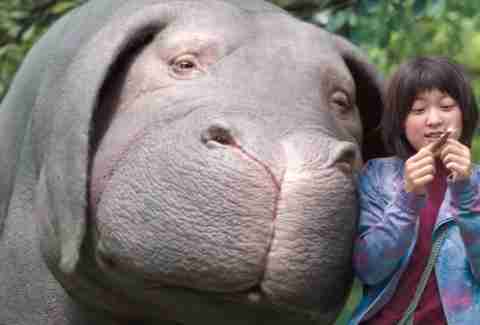 From the mind of The Host and Snowpiercer director Bong Joon-ho comes this environmental tale about a little girl from the mountains who adventures into the big city to rescue her pal, a genetically mutated superpig named Okja. The movie debuted at the prestigious Cannes Film Festival, where our critic said it whips between "lovable, scary, silly, morbidly depressing, back to silly" and might just be this generation's E.T. The splashy horror-action movie was meant to play in theaters, but producers opted to bypass theatrical release and sell the movie to Netflix. 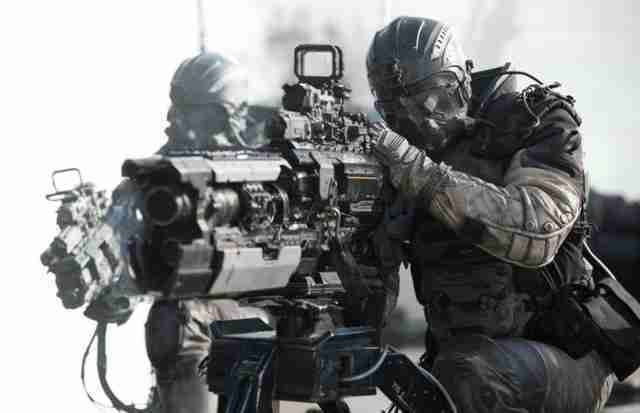 Maybe Spectral would have bombed at the box office, but this genre mash-up, about a bunch of soldiers who are sent to destroy a mysteriously otherworldly enemy (ghosts, basically) and find themselves trapped behind enemy lines with an adversary they don't understand, is pretty damn entertaining on the home screen. Spectral plays a lot like a movie version of a video game, with one big difference: there's velocity and character and enough mystery to sustain the ride. The second film in Walt Disney's rebooted trilogy that leaves the original galaxy far, far away for the future was one of the most anticipated films of 2017, and it turned out to be maybe the most epic ever in the franchise. Following the death of Han Solo, this intergalactic odyssey follows the remaining members of the dwindling Resistance as they attempt to escape the death grips of the First Order, helmed by the gross General Hux and the conflicted-but-hot Ben Solo/Kylo Ren (Adam Driver), and rebuild. Furthering her path of becoming a key fighter (and awakening Jedi), Rey (Daisy Ridley) goes in search of the now-reclusive Luke Skywalker to get him back to motivate and aid the rebel cause. With the large ensemble cast of classic stars like Mark Hamill and Carrie Fisher, as well as the new Star Wars A-team, including John Boyega and Oscar Isaac, its dynamic special effects give the film everything and more that you could want out of the franchise film. Plus: Porgs!!! Natalie Portman's dystopian thriller written by Lilly and Lana Wachowski has only increased in relevance since it came out, so watching it now you can have the joy of watching a buzzed Portman trying to fight the repressive forces of future governmental control. 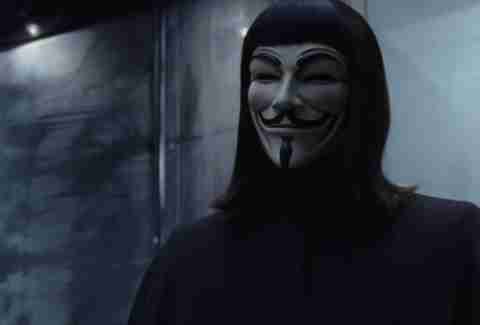 Watch the spirit of Guy Fawkes live on before it's too late.